Having an idea for a killer blog post is the easy part. 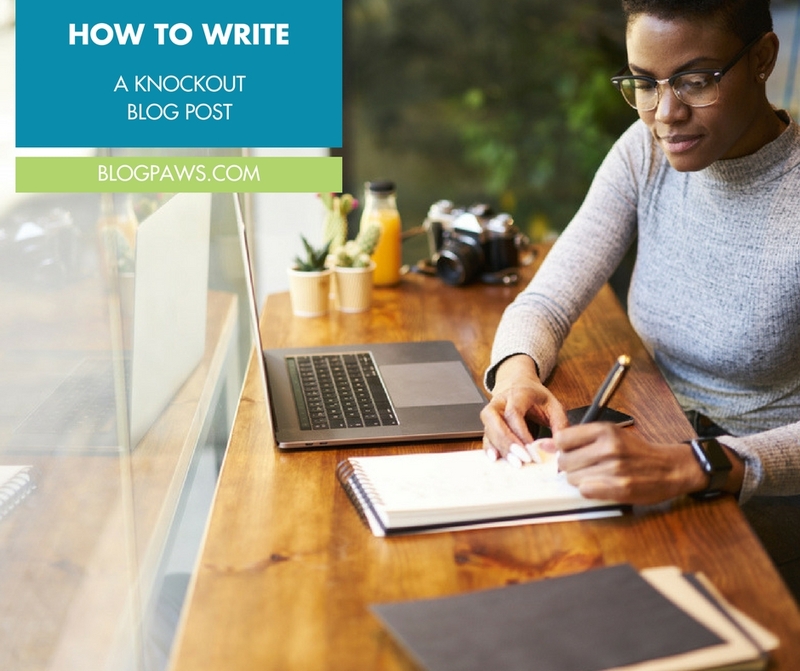 Writing a knockout blog post that touches on all the key elements from content to photography, promotion and inbound/outbound links is the more involved process. 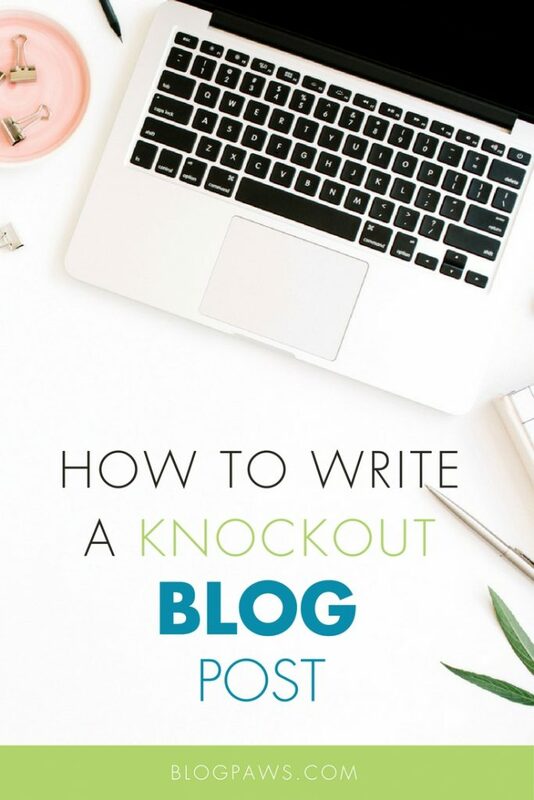 It sounds like a no brainer, the process for writing a knockout blog post, right? Even long-time blogging veterans may be surprised to find some tips and pointers to apply to future blog posts or updating older blog content. Something that we see time and again in the BlogPaws offices is a well-done post, but it is written to an audience that may not be the one best served by said content. Define your why and know your purpose. No matter how long you have been blogging, each blog post should be geared to your target audience. If you are a cat blogger who writes about health and wellness, then articles about kitten training, cat litterbox issues, and senior cats and kidney disease are the types of content your audience wants. You know they want this content because you did your research prior to creating the blog. Sometimes a blog post is geared for a specific portion of your blog’s audience. One of my consistently popular blog posts deals with torn anterior cruciate ligagments in dogs. That post is geared to a dog parent who either thinks their dog ruptured the ligament, indeed the dog is injured, or they want more information and options. Write to THAT audience for THAT post. How will the content be delivered? Blog post, social media post, video, ebook, etc? As a second phase to developing the content idea, next you write an outline. This need not be a laborious process, but I could never do a blog post without some sort of outline. Why my reader should care. I ask myself “who cares” and until I can answer that, I won’t blog. Your outline can be as simple as a one-page sheet of paper with subheadings on it or as intricate as desired; we all have different learning and planning styles. I do this so that whenever I am writing a blog post, I have an arsenal of photos from which to choose. Quite honestly, I have my own stock photos that I took! I edit the photos I love the most and might use, ditch the blurred ones, and then I clean my phone up, back up my files onto a hard drive and an online photo storage service, and I am good to go. Videos I plan to embed into a blog post or those in support of my blog post I will use on social are a part of the visual asset planning process. It’s never one and done: If you blog it, use it over and over in a variety of ways. The same holds true for visual and video assets. More about that later. This is oh-so-important to your knockout blog post process. Keyword research does NOT mean keyword stuffing. The traditional definition of a “good” keyword is one that has low competition from other sites attempting to rank with traffic from the keyword along with a high number of monthly searches. Finding that balance is the sweet spot for bloggers. Your goal with a blog post is to create an ultimate resource with both short and longtail keywords. Long tail keywords have long staying power if properly executed in blog post. Why long tail? Longtail keywords are more closely related to the questions your readers are asking/searching for; they are actually easier to rank for; and since they target your specific audience, more relevant traffic is directed to your blog. Here are three steps for finding juicy keyword nuggets. An eye-catching title can make or break a post. Personally, I tend to spend more time developing a worthwhile title than many other things.Regardless of how your post is discovered: From a search engine to a tweet, the first thing a reader will see is that all important “headline” aka the title. Is your title worthy of the content within the post? Does it give the reader a full, enticing glance at what’s to come? Think about those catchy headlines on glossy magazines as you stand in the supermarket check out line. The titles are designed to lure you in to buy the magazine or tabloid. Here’s a 3-Step Process to Write Click-Worthy Headlines. Subheadings break up a post and divide it into sections as this blog post illustrates. It makes it easier for the reader to use and is another way to hold one’s attention span. Similarly, bullet points and numbered lists are helpful. Bullet points are useful for stats, benefits, product features, short bits of info, and other data that you want to stand out. Blogging is not sheer opinion if you want to be considered an expert. I am not an expert in many of the topics on which I blog. I am, however, pretty darned good at finding folks who are experts in their respective fields. I utilize places like HARO (Help a Reporter Out), message boards, groups on Facebook, in-person networking to exchange business cards, industry-oriented mixers, Twitter, and so on. Experts are out there. You need to find them to add credibility to a blog post. I suggest doing a blog post with opposing views and let your readers decide. Whichever route you take, do your research. Please please and please check your grammar and spelling: It matters. Read it out loud to make sure that everything makes sense. A stellar blog post instantly loses its appeal when a run on sentence comes into play and it never stops and the person writing it thinks that I want to stick around because I have nothing better to do than to hear about a great product and how super it is. See how annoying long that was? Don’t do it. An abrupt ending leaves the reader scratching their head, so summarize in a nice neat package for them. Re-emphasize your main points, perhaps circle back to your introduction, and give the reader the all-important call to action. A call to action is important at the end of a blog post but also in your social media promotions. A Call to Action is a statement that encourages your readers to take some sort of action. Subscribe to my newsletter for posts just like this! Add a comment to the bottom of this list and tell me what you think. Learn More: Discover how to successfully use a call to action. Knowing how to promote a blog post and making the time to do so are pivotal to blog post success. You don’t need to be on every single social media platform, and you don’t have to post everywhere at one time. In fact, the latter is highly frowned upon so as to avoid content saturation. Tools like Hootsuite, Buffer, Sprout Social, and Co-Schedule allow for timed social media content. Here are quick ways to promote blog posts (note: It isn’t one and done; be sure to recycle your posts and share social media content throughout the year). If you want to start a pet blog and have no idea how to get going so you can use the tactics above, here’s a good place: How to Start a Pet Blog. Learn how to do keyword research for your next blog post. If you write it, readers will come, right? Not always, so if you want the readers, then identify them, determine how you will find them , and deliver with a knockout blog post and social sharing plan to enhance its longevity. 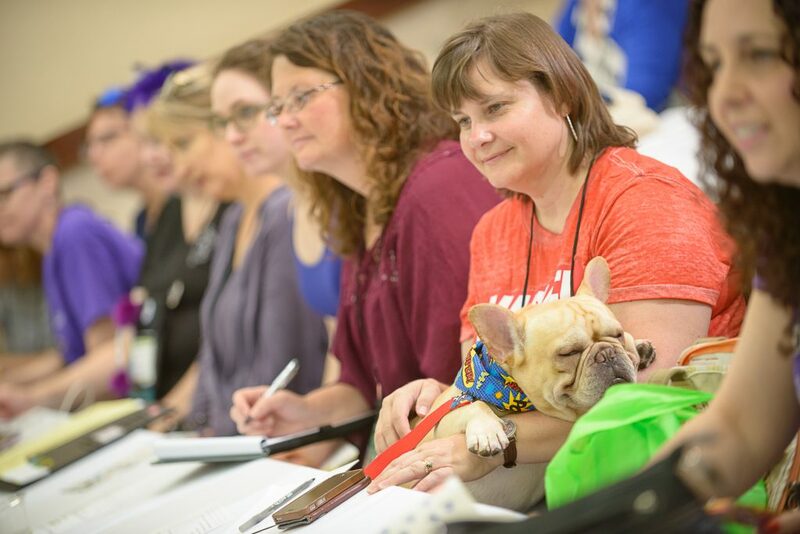 Register for the BlogPaws 2018 Conference and invest in you. 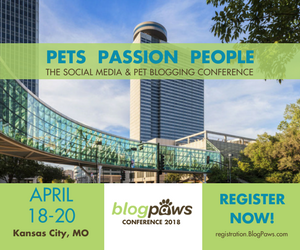 The BlogPaws 2018 Conference takes place in Kansas City, Missouri, April 18-20. Join us and get your social media and blogging plans in order! What’s your process for writing a blog post? Do you have one? Does it resemble the above? Let us know in the comments below. We respond to all comments.